"Selling Georgia's Best!" WE MAKE DEALS HAPPEN! 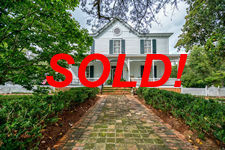 From farmland, timber and hunting tracts, historic homes, Southern Plantations and unique properties, Georgia Realty Sales, Inc. prides itself in the sell of Georgia's Best properties. We specialize in large acreage tracts, farms and land throughout the state. We also have fine homes, lake properties, retreats and commercial properties for sale. Whatever your objective, real estate is an Investment so put our expertise to work for YOU! The following are samples of the prime properties we have today. Click on the Pictures to See More!!! 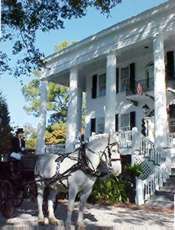 A true undiscovered teasure...Washington Georgia is rich in legends and history with gentle rolling countrysides, streets lined with majestic antebellum homes alongside cozy cottages and a real Town Square! Its more than a Place...its a lifestyle. 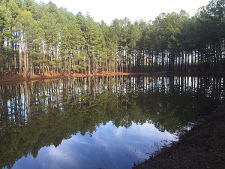 From small farms and land tracts to thousands of acres of recreation, timber, and other investment lands, see what Georgia has to offer. "If we don't have it, we'll find it!" This stunning Federal style home abounds with Southern Grace and Elegance exemplifying the Genteel South of a by gone era for which many still yearn. 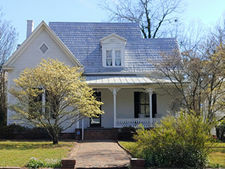 It is an eloqent home that whispers a lifestle of comfort and tranquility in one of Georgia's oldest, most picturesque Historic small towns. 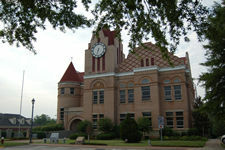 Within walking distance of TOWN SQUARE, Shops, Restaurants, Oldest Georgia Library & Museums! 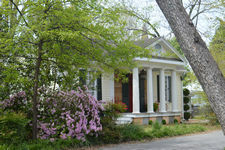 Nestled along one of Historic Washington's most picturesque streets, a grand Magnolia standing tall at the entry of the brick walk way, flanked by mature plantings of old, amid azaleas and ivy....this Lovely Spacious & Bright Bungalow beckons gently for one to stroll amid the grounds. Explore and Enjoy this wonderful c. 1917 Charmer boasting over 3,000 SF in the main home! Stunning 10 Acre Stocked LAKE... Several Living Quarters... Fenced pastureland...Timber Value... Woodlands...Barns & multiple outbuildings... Managed for WILDLIFE and Excellent Hunting... HAS IT ALL! Exquisite 4/3.5 corner town home with First-Class finishes on Lake Oconee. The well-manicured & Maintained Phoenix shores community offers a heated/cooled pool,hot tub,community pavilion complete with fans,stoned fire place,and set up for Master grilling while enjoying lake sunsets. EXCELLENT Opportunity & Unlimited POTENTIAL!! Endowed with just as much mystical charm as the Camelot we envision of old... this cottage and grounds located in the Heart of Washington's Historic District, evokes a sense of magical beauty from its architectural details & design to the wonderful gardens bursting in bloom amid lush greenery and tiny garden lights. All on a small, enchanting manageable scale for a comfortable, easy Lifestyle! 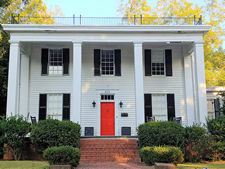 This graciously southern home located in the Historic District of Washington, Georgia is within walking distance of the Town Square, Museums, Shops, Restaurants and the state's first public Library. Fabulous FURNISHINGS Included! 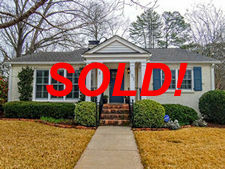 Now Being Sold Totally TURNKEY! China, Linens, Paintings, Rugs, Antiques, Exquisite Furnishings & Decor! With its soaring just under 14 feet ceilings, beckoning wide front porch , glistening wood floors and a most beautiful intricate detailed piece of woodwork spanning its center hall... one is almost sure to fall immediately in love with this TRUE SOUTHERN Victorian CHARMER! 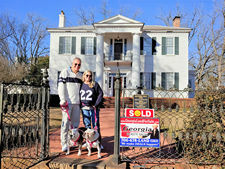 Washington, Georgia proudly Welcomes Bobby & Dani Akart who recently purchased this wonderful c. 1795 home known as Wisteria Hall / The Maria Randolph Mansion. All are excited and looking forward to having them with their "girls" (2 English Bulldogs) become a part of our Charming HISTORIC Southern town! TOTALLY renovated within the past 5 years, the FITZPATRICK HOTEL is located on the Downtown Square, referred to by many as the "Crown Jewel" of the Square AND WINNER OF MANY HISTORIC PRESERVATION AWARDS! Standing majestically and proud along Historic Washington's grand avenue, the Wilheit-Brown-Wagner home takes it's place once again as one of the "finest homes" and as one of the "showplaces of Washington and NE Georgia"
A NEW Price for a NEW YEAR! Nestled in a PRIVATE park-like setting minutes from Strom Thurmond Lake and numerous golf courses, this beautiful Greek Revival with towering columns and gorgeous grounds of oaks bring back the genteel Southern Charm of a by gone era. Gorgeous Private 100 Acre North Wilkes county property with newer sustainable efficient home. 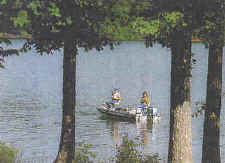 Rolling hills, Pond,Georgia Pines,Hardwood draws,creeks perfect for all around recreational property. Several sites to build additional homes on property if desired. 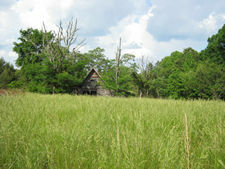 3/2 self-sustaining Eco friendly home (2009) on 50 Historic wooded acres, near site of 1800s Elijah Clarke�s Encampment. The farm name is based on its geological location & well known neighboring property, Amethyst mine & from 50's novel. HISTORIC Washington, Georgia c.1797 CharmEarly "Plantation Plain"
Nestled amid some of Georgia's prime hunting and recreational lands this 1400+ Acres is awesome! Perfect for the ultimate outdoor-man (or woman) whether Hunting, Fishing or Hiking be your goal or answering your call of simply delving into your kindred spirit with the earth itself! 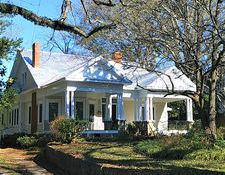 Nestled amid 1.93 acres of long established gardens with period plantings, rose gardens, magnolias and towering trees, this home is within walking distance of historic Washington, Georgia's quaint Southern Town Square, Shops, Restaurants, Museums, Little Theater, Churches & More. 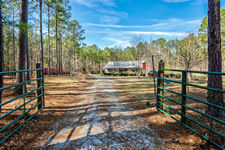 Lincolnton, Ga. 54 Acre "Lloyd Creek Farm"
Absolutely stunning rolling Georgia countryside comprise this 54.5 acre FARM ' half woodlands and half pasture lands, complete with quaint , Virginia White Pine log cabin and large metal barn with stalls and stables located in Lincoln County, Georgia. Priced to sell at $339,000 or OFFERS! Charming Craftsman style Farm Cottage situated amid 30 picturesque Acres of gentle rolling countryside. 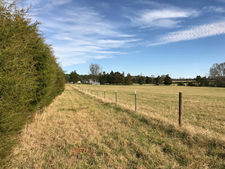 Dotted with mature oaks and cedar trees, fenced and cross fenced, well established pasture, ready for your livestock! 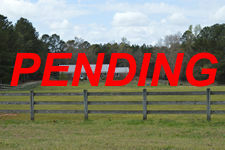 Two Main Pastures, two large paddocks, Run-in shed with stall, 20 x 40 BARN with power) /Equipment lean-to sheds on two sides. This spacious custom built (2003) ALL brick home offers the absolute BEST in a private & secluded country setting.... Nestled down a long winding drive amid 40 Acres of mature hardwoods, pines, open areas and overlooking a bold rushing creek. A MUST SEE PROPERTY to fully appreciate! One of kind rare Historic c.1778 Mills-Bryson home.The oldest Surviving structures in Wilkes county & One of the oldest in the entire state of Georgia. 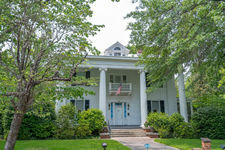 504 East Robert Toombs Ave. This lovely little Gem found on Historic Washington, Georgia�s main thoroughfare is yet another fine example of preserved early century architecture! Enter this home at the main Family/Living room exhibiting original Tiled Fireplace with Mantle, High ceiling, picture rail molding, Vintage period light fixture and of course Beautiful Wood floors found throughout! REDUCED to $103,000! OWNERS LOOKING FOR OFFERS!!!! 502 East Robert Toombs Ave. 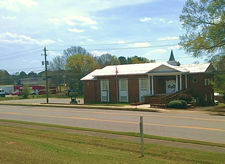 Originally built in 1950, this free standing building with approximately 1872 square feet OFFERS so much POTENTIAL! Top level has Great studio space that has hosted store fronts to antique dealers in her past history, while bottom level serves as Neat living space. This Unique OPPORTUNITY is UNBELIEVABLY Priced at only $20,000! 220 East Robert Toombs Ave. HISTORIC Washington, Georgia Charming "Firefly Cottage"
Wonderfully charming home with soaring ceilings, largely proportioned rooms that flow effortlessly to encompass 2,000 square feet with lovely architectural features you will love! Architects, as well as the casual visitor, are stunned by the "audacious bulk" of this magnificent house which somehow also manages to be a house of grace, beauty and distinction. Striking architectural features in a truly hard to find Historic Treasure. REDUCED to $1,350,000 or Will Entertain OFFERS! Steeped in history, it is well known as the home where Mrs. Jefferson Davis awaited her husband during his flight south after the fall of Richmond! Totally renovated...has operated as B&B with expansive landscaped grounds and outbuildings. ample parking. Offers excellent OPPORTUNITY as private home, B&B or event location. From the strength of the massive hand hewn exposed beams and brick kitchen floors to the glistening warmth of the heart-of- pine floors and custom cabinetry throughout, this c. 1885 manor home is a stunning totally renovated/updated Historic masterpiece! 217 West Robert Toombs Ave. 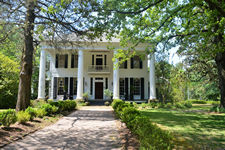 Magnificent Greek Revival c.1818 tucked peacefully among gorgeous Southern grounds of massive magnolias, towering oaks, mature pecan groves and varieties of ageless historic flowering shrubs, hedges and plantings. 54+/- Acres! 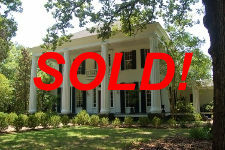 REDUCED to $1,375,000! 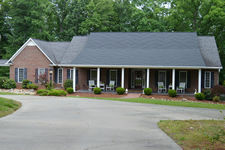 Country retreat consisting of 141 Acres of Georgia pines and hardwoods... 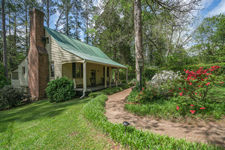 Comfortable Cottage overlooking stocked pond with dock and gazebo Land of rolling hills and creek bottoms located a short distance outside Historic Washington, Georgia. Great LAND tract with older home that would make wonderful Hunt Camp or Weekend Retreat as you spend time communing with NATURE. Located down county maintained dirt road, but also with paved road frontage! Mostly woodlands with creek and pond. Absolutely stunning multi-level country estate home with gorgeous wood vaulted ceilings and bank of windows overlooking spectacular views of prime Georgia gentle rolling countryside, board fencing following the rise and fall of the land and 10 acre pond! HISTORIC Washington, Georgia Ultimate Cottage Charm & STYLE! It is stunning from its exquisite chandeliers & wall sconces, Eight Foot tall doors, heated marble floors and large ceiling Medallions with gold leaf trim to its Tongue and groove Vaulted Ceilings. No doubt...It is GRAND in STYLE & ELEGANCE! 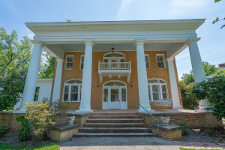 Romancing the Eclectic Era of the 1920's this Italian Renaissance Revival home (all brick) is "RENOVATION READY" with an abundance of original architectural features in tact offering unlimited POSSIBILITIES for revitalization of this 11 Acre COUNTRY ESTATE! Reminiscent of the antebellum style raised Greek Revival Cottages this home was totally renovated/remodeled between 2006 and 2008 and retains the original foot print from its early 1900's origin when it was part of the property to its North known as the "Old Manse". At the end of a scenic winding drive, this Beautiful 2007 custom built home is nestled amid an amazing 85 gentle rolling Georgia acres with just the right balance of stunning open fields, mixed woodlands with hiking/ATV trails and more! 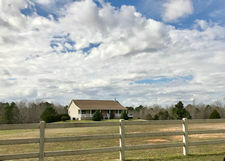 PRICED to sell at $675,000 for all or will sell home with 20 Acres for $485,000! 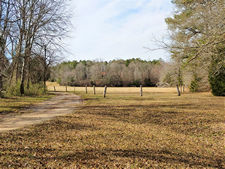 Located a short distance out of Historic Washington, Georgia in the quiet Danburg area countryside, this 49+ acres has the makings of a perfect "farmstead" should your desire be to build a permanent home, cabin, sportsman's paradise or simply your slice of "COUNTRY". 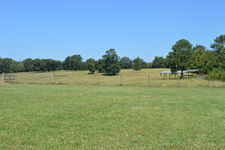 Wilkes County Washington (Tignall) Georgia 35 Acres Rolling Georgia Pastureland! 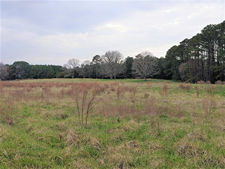 Beautiful gentle rolling terrain providing stunning views of the Georgia Countryside! 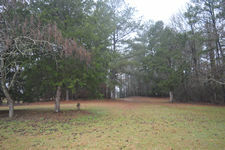 Fenced and cross-fenced with scattered pecan and other trees! 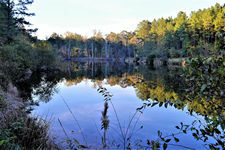 TWO PONDS ~ One Spring fed; One watering hole for livestock.... Numerous building sites. Older small pole barns. OPEN to ALL Reasonable OFFERS! Crawfordville, Georgia Hillman Road Hide-A-Way! PERFECT place to get away from it all....if just for a weekend or for full time living! Make this your retreat or your permanent residence! Country living at its BEST! Asking $243,000 OPEN TO OFFERS! Wonderful rocking chair front porch spans the front of this lovely Turn of the Century Victorian Style home with wide inviting CENTER HALL entry, Soaring ceilings, front floor to ceiling large pane windows and absolutely GORGEOUS glistening heart of pine floors! Excellent Timber Investment while you enjoy the recreational benefits of the GREAT OUT-Of-DOORS and all that NATURE has to offer on this wonderful property "in the country" ! Historic Washington, Georgia "Open Concept Bright & Airy - Just Remodeled!" Located in a great neighborhood; close in and convenient to the downtown area, shopping & schools, this recently remodeled for OPEN CONCEPT living makes for a near perfect FAMILY home! MOVE IN READY!! RECENT RENOVATIONS & UPGRADES! 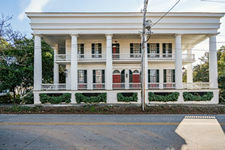 Distinctly SOUTHERN this approximately 5000 Square Feet c. 1836 Greek Revival stands proud, columns glistening as the sunlight streams through the branches of ageless oaks.... It is quietly nestled amid elegant gardens and grounds. Wonderful Historic building with RENOVATED LOFT ... Prime location overlooking the historic Town Square of quaint Southern town! This property PRIMELY located on Main thoroughfare through town and situated on 3.49 ACRES with approximately 264 ft. Road Frontage not only is a Great opportunity for another congregation but could also be open for an Entrepreneur Commercial Endeavor! Incredibly Priced at only $475,000! Come make "Praise Hill" and its 96 Acres your place to breath in some good Country Air while you roam and recreate in the Great Outdoors! 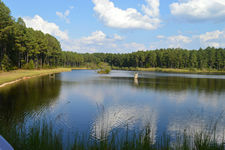 PRICED TO SELL at only $2449/acre! LaGrange, Georgia 62 Lake Front Acres! 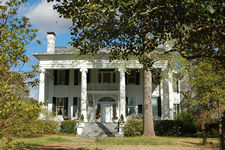 Plantation Homes and other Historic Properties!!! Take a look at our success stories!!! First Weekend in April Each Year! 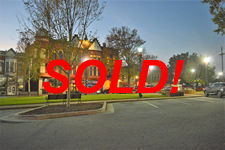 Copyright� 1999-2019 Georgia Realty Sales, Inc.